Maria Regina Muller, Zion Lutheran Cemetery, Chattanooga, Mercer County, Ohio. Died 10 March 1905, Aged 21 years, 17 days. 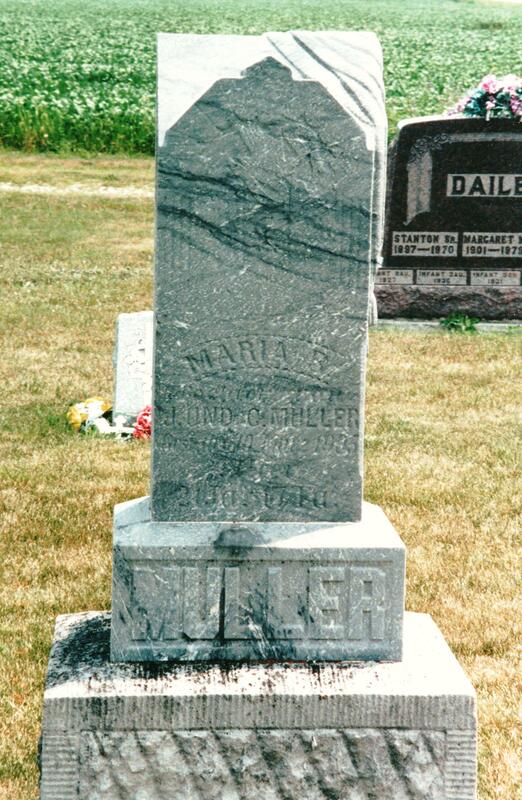 This is the tombstone of Maria R. Muller, the oldest child of my great-grandparents, Jacob & Christina Muller/Miller. Muller is inscribed on the base of the tombstone in large letters. The stone itself is inscribed Maria R., tochter [daughter] of J. und C. Muller, Gest [died] Mar 10, 1905, aged 21 years, 17 days. Maria was born 23 February 1884 according to her baptism record. Her gravestone is located in row 7 of Zion Lutheran Cemetery, Chattanooga, Mercer County, Ohio. Only one tombstone separates it from those of her brother and half-brother, Jacob Jr. and Christian Miller. I featured the order form for Maria’s monument in last week’s blog. There are several records of Maria Regina Muller’s death. Zion’s church records tell us that she died on 10 March 1905 and that she was 21 years and 16 days old. This record indicates that she died of consumption and was buried on 12 March. 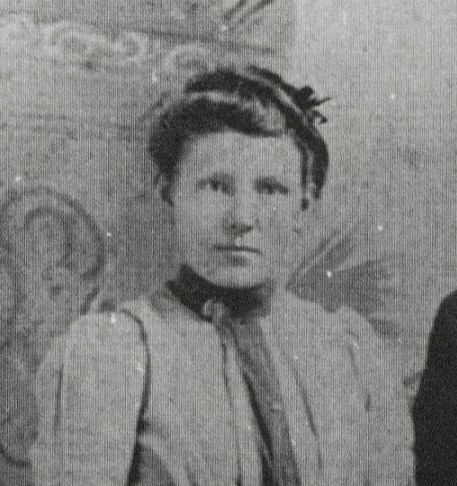 (source: records of Zion Lutheran Church, Chattanooga, Book II:341) Her Mercer County probate death record also shows that she died on 10 March 1905 and that she was 21 years and 18 days old. This record states that she was a house keeper and that she died of consumption. (source: Mercer County, Ohio Probate Court Death Records, Book II) Her tombstone agrees with the death date of the other two records but shows that she was 21 years and 17 days old. Just how old was Maria Muller when she died? The three different sources give three different ages. All the sources show that she was 21 years old but the number of days differs. One source says that that she was 16 days old, another says 17 days, and the third says she was 18 days old. According to my Roots Magic genealogy program Maria was actually 21 years and 15 days old! It appears that none of the records were correct. The 1900 US census was the only census in which Maria was enumerated. She was 16 years old at that time and living with her parents in Black Creek Township, Mercer County, Ohio. She did not attend school that year but she could read, write and speak English. I was always told one of the girls died of typhoid fever from drinking well water. I think there was an old well west of the house just south of the garden that went bad. Could this have been her, was thinking they called her Mary. You are correct in that there was another daughter that died before Maria. You may have been named after her! Keep watching and I’ll blog about her very soon.